September 24, 2014 Mohamed Soudan, foreign relations chief for the Brotherhood’s Freedom and Justice Party, said his movement did not have any links with a charity coalition known as the Muslim Charities Forum (MCF). British daily The Telegraph on Tuesday reported that a British government department had donated £18,000 to MCF, an umbrella group for several prominent Islamist charities. It attributed the information to a spending report by the U.K.’s Department for Communities and Local Government, reporting that the British government had donated £18,397 to MCF earlier this year. Soudan, however, insisted that the Brotherhood had not received any donations from the British government. ‘We participate in many charity activities in light of the fact that there is a large Islamic community in the U.K.,’ he said. Soudan said the Brotherhood had not been subject to any harassment by the British government, noting that a controversial government report on the Brotherhood and its ideology had yet to be issued. The GMBDW reported yesterday on the story in The Telegraph concerning the MCF. Since that time, the GMBDW has reported on other acknowledgements by the Brotherhood of the reality of a GMB. In 2008, we reported that the Egyptian Muslim Brotherhood website had even identified a slew of Mideast organizations and one Italian group as belonging to the Muslim Brotherhood. September 24, 2014 Abdel Moneim Aboul Fotouh, the leader of the Strong Egypt Party, recently said that the alleged international organisational structure behind the Muslim Brotherhood was nothing more than an ‘illusion created by the Egyptian media’. Aboul Fotouh accused the Egyptian media of trying to foster the idea that the Muslim Brotherhood is a global movement and that it should be referred to as the ‘International Organisation of the Muslim Brotherhood’. He emphasised that his rejection of the notion that an international Brotherhood exists ‘does not deny the fact that there are branches of the Muslim Brotherhood in Jordan and other countries; however, it is comparable to the socialist movement, which can be found in many countries around the world’. The so called Global Network of the Muslim Brotherhood is merely a Hollywood fiction that only exists in the minds of those who created it as part of their scare tactics to insight fears among the public and instigate government hostilities. There is no “global network” for the Muslim Brotherhood, but rather coordination among the different MB chapters in various countries, in which the MB has formal presence or representation, which clearly does not apply to the U.S. This coordination among international MB chapters mainly revolves around political issues, sharing experiences in the field of public Islamic work and exchange new ideas. These tortured attempts by the Egyptian Muslim Brotherhood to contradict its own statements on the global scope of the Brotherhood only reveals the extraordinary sensitivity of the organization regarding this issue. GMBDW readers who encounter such Brotherhood obfuscations should be better prepared than most to parse their various claims and denials. For an overview of the Global Muslim Brotherhood concept, go here. 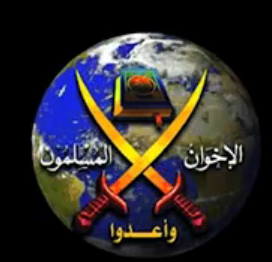 For an overview of the International Organization of the Muslim Brotherhood, go here.